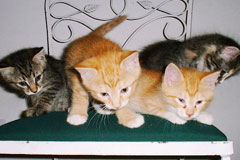 Neutering is the surgical procedure that renders a male or female cat or dog unable to reproduce. In males, the surgery (called castration) entails removal of the testicles, leaving an empty scrotal sac that soon shrinks. The testicles produce sperm and are the primary production site of the hormone testosterone. In females, surgical sterilization (commonly called spaying) involves removal of both ovaries and the uterus by incision into the abdominal cavity. The ovaries produce eggs at each "heat" cycle and also produce the homones estrogen and progesterone. The uterus is also removed because it may later become infected if it is not removed. These surgeries are done under general anesthesia. 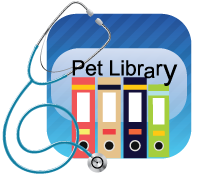 Pets are neutered to prevent undesired births and a variety of medical disorders in both males and females.